Sales success nuggets to help you exceed quota every time! Salespeople are constantly looking for nuggets that will help them be more effective and more productive. 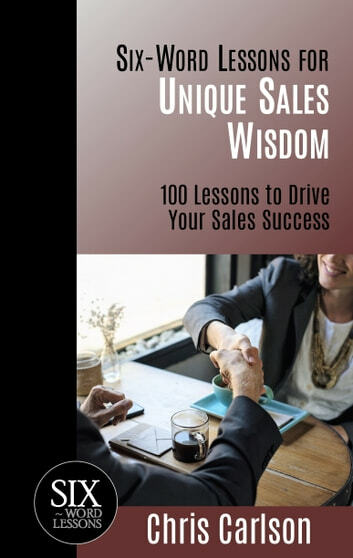 Six-Word Lessons For Unique Sales Wisdom gives you these nuggets without having to commit to hours of reading time. Focus your attention on the nuggets you need and then apply the lessons to your daily rountine as a Sales Pro.